Domer Home: BACK TO SCHOOL: A DESK IN STYLE! BACK TO SCHOOL: A DESK IN STYLE! I love this time of year! Fall is just starting which means the weather is cooling down and gorgeous rich, warm hues are out. Fall is also the sign of going back to school! 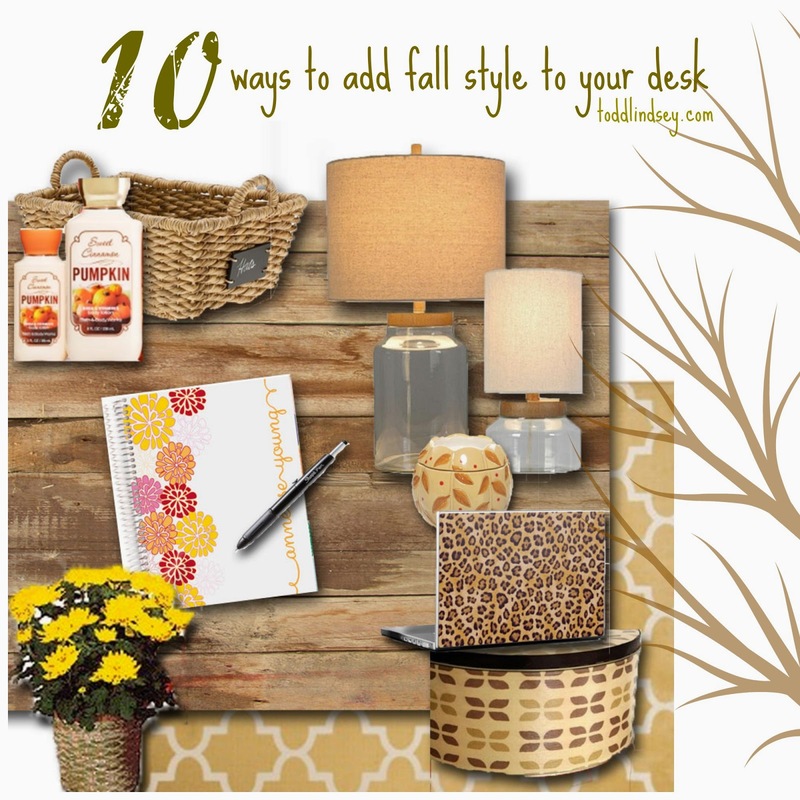 For all the teachers out there, here are 10 fun, inspiring tips on how to style an organized and beautiful workspace. Face it, this is where we spend a lot of our time, so why not make it as positive and cheery as possible? 1. Get a candle warmer! Open flames are most definitely not allowed in school but most schools allow a candle warmer. 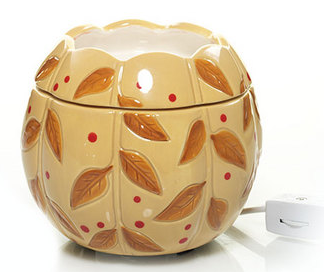 This is a little plug-in device that heats wax tarts for some immediate yummy scents. You can change the scents for each season too. Try some of these scents from Yankee Candle: Apple Spice, Autumn Wreath, Pomegranate Cider or Pumpkin Buttercream. Yummmm... Can you smell fall? 2. 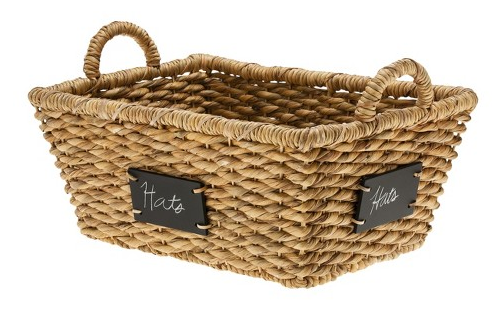 Organize your space with natural wicker or woven baskets. This will add texture and warmth to your desk space compared to those sterile plastic containers that are traditionally used for desk organization. Baskets with handles make it easy to rearrange and move things around. Handles are also a bonus if you need to bring a pile of papers home to grade- just grab the whole basket on your way out! These chalkboard labels are handy for reminding you of what goes where. No more fumbling through giant piles of mess on your desk! 3. Add fresh foliage to your desk. There is nothing more cheerful than fresh flowers to greet you each day when you sit down at your desk. A more affordable option is to purchase a plant that will last longer. For fall, try a small potted mum. When it's blooms are spent, you can take it home and plant it in your yard and it will come back bigger and more beautiful next year. Allergies? No worries; get a silk or dried arrangement. These can last forever if you pay a bit more upfront for good quality. 4. Get some products to pamper yourself in between classes or during your planning period. I like to keep a nice bottle of lotion, hand sanitizer and good quality tissues on my desk. You can even place them in a basket (see #2!) so your desk doesn't start to look cluttered. These products should be just for you and not for the students... You deserve some pampering! 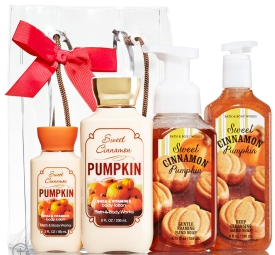 Try some of these delicious scents from Bath & Body Works to envelope yourself in fall. Sweet Cinnamon Pumpkin, Fireside Comfort, Farmstand Apple or Pumpkin Latte & Marshmallow Comfort. I am seriously drooling right now on that last one! 5. Add some mood lighting! When it's your planning time and the students are gone, turn off those horrible florescent lights and turn on a cozy lamp. 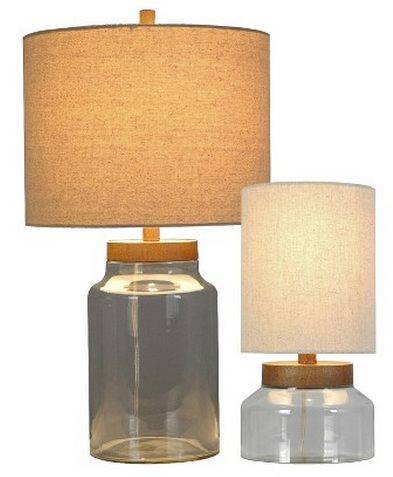 These lamps from Target are awesome! Not only do they add a homey touch but the vase sections are fillable meaning that you can decorate according to the season. Try some fall potpourri, acorns, pine cones or small pumpkins and gourds. 6. Have a stash of treats on hand for when you are having a really frustrating day... or just crave some sweets. Keep them in a stylish metal tin to keep all the critters away. Keep some tea bags, instant coffee, gum, granola bars and of course, chocolate on hand for those "emergency" days. 7. Get a trendy planner to organize your lessons, meetings and conferences. You can customize your planner with family photos or pictures of student work; whatever gets you motivated! I know, I know... we are in the digital age where everything is online. However, I do appreciate being able to see everything outlined in writing when I am at school. It really helps me to stay focused and structured! Tinyprints features many styles and sizes, as well as several customizable options. You can easily go overboard and get matching stationary and notepads galore! Plus, who wouldn't want to carry around a planner this cute? You will make all the other teachers jealous! 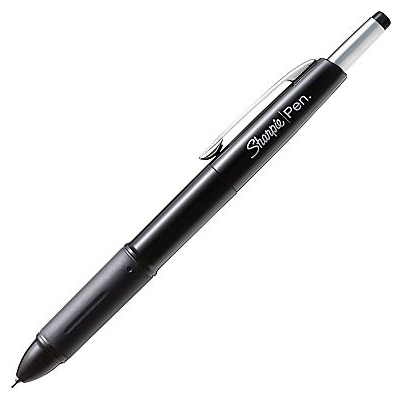 Afraid of them getting taken by students who will not appreciate your choice in high caliber pens? Me too. I keep a few hidden in the recesses of my desk that are just for ME. Isn't it silly how good pens can make grading even a teensy bit more enjoyable? 9. Add a warm rug under your desk. Once you sit down, you can kick your shoes off and not feel gross about it. 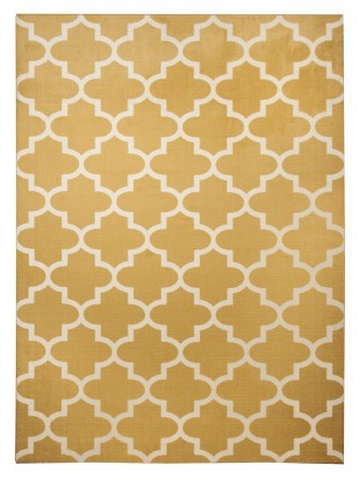 A rug will add even more texture and comfortability to your desk space. Ahhh... If I had a rug under my desk, I don't think I would ever leave my desk. 10. Lastly, add some color to your laptop! That way, when you go to use your laptop, you are greeted by instant cheer. 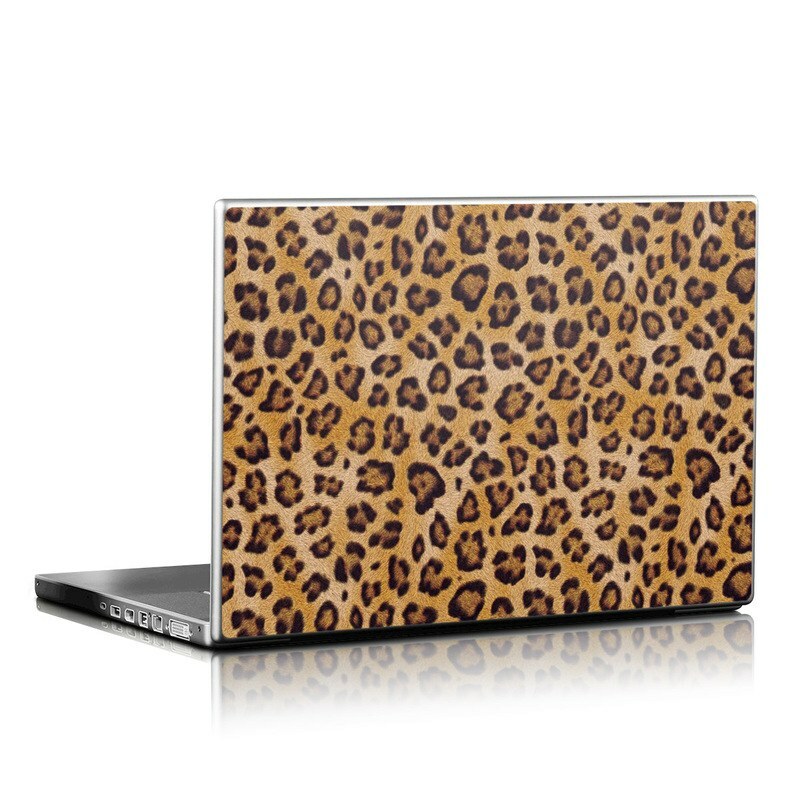 Anddddd who doesn't love some animal print in their life? What gets YOU in the mood for fall? Lindsey I'm not a teacher but these were awesome and totally practical tips. I know I implement some of those in tinier versions as a mom on the go ie: fancier lip balm for my purse, sweet scented sanitizer as well, mini perfume, VIA coffee ect to remind me I'm still a woman and not just a mommy hahaha. Sometimes the smallest things can make a difference. I'm very visual & scent driven so these and your tips are up my alley. Thanks again! Hi Lindsey! Just wanted to let you know that I have discovered an Incredible "Pumpkin Pecan Waffle" scented candle by Bath and Body Works, that is so intoxicatingly sweet, that I just leave it unlit and uncovered and the aroma fills my workspace and smells Yummy! My comment was erased. :( I'll just write it again! :D Love the laptop cover!! So cute. My desk is so full of work I don't think I could decorate it. But it would be adorable! Great post!